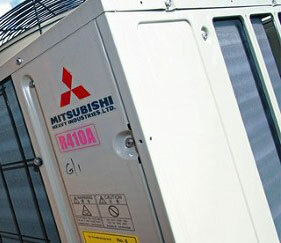 Cool Solutions is a family owned air conditioning & refrigeration company operating across the South of England. We specialise in the installation and servicing of both domestic and commercial air conditioning and commercial refrigeration. We take pride in our outstanding customer service and offer all our service contract customers a 24/7 call out service giving you peace of mind and leaving you to focus on your business, not your equipment. Contact us today for a FREE, no obligation quote on 01635 247 888. Refrigeration - Whether your business relies on one fridge or multiple appliances/chillers/walk in units or ice machines, we'll keep your business cool. 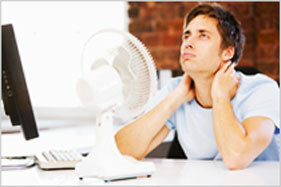 Air Conditioning - Whatever your requirement from a single wall mount to a multi... system we can give you a helping hand. Renewable Energy - We offer a wide range of environmentally friendly options that will help your business cut it's carbon footprint and also reduce your fuel bills. Servicing & Repair - servicing is key to keeping your equipment running smoothly. No business can afford the disruption and expense that a break down can cause. Contact us today for a free condition survey and report of your air conditioning and/or refrigeration. We will also provide a free no obligation quote for the annual maintenance required for your equipment.